Simeis 147, better known as spaghetti nebula, it is a remnant of supernova in the constellations of Taurus and auriga about 3,000 light years from the earth. With 150 Light-years in diameter, it is a tremendous structure. If Spaghetti Nebula 147 was visible to simple view, it would cover 6 moons full in the sky. It has an estimated age of about 40,000 years. The Spaghetti Nebula releases a lot of energy in the form of powerful x-Rays and gamma rays, expands at a speed of about 100 km / s.
Image Credits: NASA David de Martin. It looks more like a tangled hairnet than spaghetti! Investigating the remains of a supernova explosion. Image and Supernova Kepler performed with optical light and X-rays Credit: X-ray: NASA / CXC / NCSU / M. Burkey et al; Optical: DSS. A study in which a researcher participates Institute of Astrophysics of the Canary Islands (IAC) , which has been led by a researcher at the Institute of Fundamental Physics of the CSIC and the Institute of Cosmos of the UB (UB-IEEC) Science says the explosion Johannes Kepler observed in 1604 was produced by a fusion of two stellar residues. Kepler’s supernova, which currently is only the nebulous structure of its remnant, took place in the constellation Ophiuchus, in the plane of the Milky Way galaxy, 16,300 light years from the sun. An international team, led by researcher Pilar Ruiz Lapuente ( UB – IECC and CSIC ), in which the IAC researcher involved Jonay Hernández González, he has tried to find a possible survivor binary star system in which the explosion occurred. In these systems, when at least one of the stars (the greater mass) reaches the end of its life and becomes a white dwarf, the other can start transferring material progressively bringing it to a certain limit mass (equivalent to 1, 44 solar masses, called “Chandrasekhar limit”). This process results in the ignition of the carbon in the nucleus of the white dwarf, causing an explosion which can multiply to 100,000 times its original brightness. This phenomenon, brief and violent, is known as a supernova. Sometimes, as in Kepler’s supernova (SN 1604), observed and identified by German astronomer Johannes Kepler in 1604, can reach visually observed from Earth. Kepler’s supernova emerged from the explosion of a white dwarf in a binary system. Therefore, in this research published today in the journal The Astrophysical Journal, the possible survivor of the white dwarf companion, who allegedly transferred mass to bring it to explode it sought. The impact of this explosion would have increased the brightness and speed of the missing companion. You could even have modified its chemical composition. The team selected, therefore, star anomaly that allowed them to identify one of them as the companion of the white dwarf that exploded 414 years ago. To carry out this research, they used images taken with the Hubble Space Telescope (HST) . “The goal was to determine the movements of a group of 32 stars around the center of the supernova remnant that still lingers , ” says Luigi Bedin, Osservatorio Astronomico researcher di Padova (INAF) and co-author. They also used data from the instrument FLAMES , installed in the Very Large Telescope (VLT), 8.2 m in the European Southern Observatory (ESO) and used to characterize stars, determine its distance and its radial velocity relative to the Sun . ESO/FLAMES on The VLT. 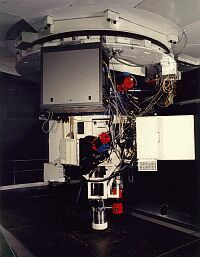 FLAMES is the multi-object, intermediate and high resolution spectrograph of the VLT. Mounted at UT2, KUEYEN, FLAMES can access targets over a field of view 25 arcmin in diameter. FLAMES feeds two different spectrograph covering the whole visual spectral range:GIRAFFE and UVES. • YEPUN (UT4; Venus – as evening star). “the star field Kepler’s supernova are very faint stars, only accessible from the south with a telescope large diameter telescopes like the VLT hemisphere , ” notes John Pritchard, a researcher at ESO and one of the study authors. “There is an alternative mechanism to produce the explosion. Consists of the merger of two white dwarfs, or white dwarf core carbon and oxygen companion star at a late stage of its evolution, in both cases resulting in a supernova “explains Jonay Gonzalez Hernandez , Ramón y Cajal researcher and co-author of the IAC publication. “In the field of Kepler we do not see any star that present anomalies. However it adds find evidence that the explosion was caused by the merger of two white dwarfs or a white dwarf with the core of the star companion, possibly exceeding the “Chandrasekhar limit” “. Kepler’s supernova is one of the five “historic” thermonuclear supernovae type. The other four are the supernova of Tycho Brahe, Danish astronomer documented in 1572 and has also been investigated previously by this team; the SN 1006 , also studied by this team in 2012, the SN 185 (which could be the origin of the remaining RCW86 ); and the newly discovered SNIa G1.9 + 03 , held in our galaxy around 1900 and was only visible from the Southern Hemisphere. Article: Ruiz-Lapuente, P., et al. “No companion in Kepler’s surviving supernova” 2018, ApJ, 862, 124 DOI: https://doi.org/10.3847/1538-4357/aac9c4. The Astrophysical Journal. Artistic image of J0023 + 0307 star that was created in the early stages of the formation of the Milky Way. The J0023 + 0307 star formed from the first ejected by supernovas material. Credit: Gabriel Pérez, SMM (IAC). Artistic image of supernova explosions of the first stars mass that formed in the Milky Way. Credit: Gabriel Pérez, SMM (IAC). Scientists from the Instituto de Astrofísica de Canarias (IAC) have discovered the dwarf star J0023+0307, which is 9,450 light years away, in the halo of our Galaxy. The article published today in the scientific journal The Astrophysical Journal Letters analyzes the primaeval chemical composition of this star. Because of its low metal content, and specifically its low carbon content this star “ throws doubt on the models of low mass star formation in the early universe” explains David Aguado, the first author of the paper. This finding is similar to that made last December by the same group of observers, otra estrella enana, J0815+4729 also situated in the halo of the Milky Way and with low metallicity. In this new star, however, even carbon has not been detected, which makes its composition different from that normally found in similar stars. This is a challenge to the theoretical models of the formation of stars with low metallicity. J0023+0307 is still on the Main Sequence, the stage in which stars remain for most of their lives, and has an age “virtually similar to that of the universe”, explains Jonay González González, a Ramón y Cajal research fellow of the IAC, and another author of the article. According to the established models for the formation of these stars their carbon content ought to be much bigger than those observed. For that reason “This star should not really exist” according to another IAC researcher, and the second author of this publication, Carlos Allende Prieto. This observation was carried out using spectroscopy with the instruments ISIS and OSIRIS, on the William Herschel Telescope and the Gran Telescopio CANARIAS respectively. Both telescopes are at the Roque de los Muchachos Observatory, in the municipality of Garafía (La Palma). The former has a primary mirror with 4.2m diameter, and the latter with a 10.4 m primary, made up of segments, which is one of the largest and most advanced optical-infrared telescopes in the world. The next goal of the research programme for the science team at the IAC will be to try to detect other chemicla elements in the star, such as lithium and iron. Because the star is so old lithium in particular could give us crucial information about the production of atomic nuclei (“nucleosynthesis”) in the period just after the Big Bang. To do this large telescopes, between 8m and 10 m diameter are needed, with spectrographs yielding high spectral resolution. The researchers are confident that the HORS spectrograph, now in a testing phase in the GTC, will in the near future be used for the chemical analysis of faint stars such as J0023+0307 y J0815+4729. With this astrophotography, obtained under the “Niépce: from negative to positive” project, the Institute of Astrophysics of the Canary Islands opens his Instagram account. “Cosmic Fotomatón” remote astrograph of the Communication and Scientific Culture (UC3) of the Institute of Astrophysics of the Canary Islands (IAC), and fully operational at the Observatorio del Teide (Izaña, Tenerife). The first image of the object is obtained Messier 31 , the Andromeda galaxy, and with it the IAC opens its account on the social network Instagram ( https://www.instagram.com/iac_astrofisica/ ). Our neighboring galaxy, with nearly a trillion stars, is located 2.5 million light years away, so the photons recorded in the image left of it that long ago when hominids evolved in South Africa yet. These photons increasingly take less time to reach us since the galaxy is approaching us at a speed of 300 km / s and collide with the Milky Way shortly before the death of the Sun, at 5,000 million years. Andromeda is one of the three largest spiral galaxies in the Local Group, our galactic neighborhood, covering a large area of sky equivalent to seven Lunas placed one after another, although not perceptible to our eyes. However, despite being the most distant object we can see the Cosmos naked eye from dark locations especially as the skies of the Observatories of the Canary Islands, this distance represents only 0.02% of the observable universe with telescopes and advanced instrumentation . Image a dwarf elliptical galaxy, Messier 110 which is orbiting is also appreciated Andromeda and which also belongs to the local group. “Cosmic Fotomatón” is an instrument of “Niépce: from negative to positive” project, a tribute of astronomy to photography, which aims to obtain astronomical images like this, wide-field and depth. With it will develop projects for different audiences, such as traveling educational exhibition “100 square LUNAS” designed to reach out to schools next October. It will also serve to train teachers of schools, cultural centers and museums, and the “Send us your piece of heaven” competition with amateur astronomers will take place. 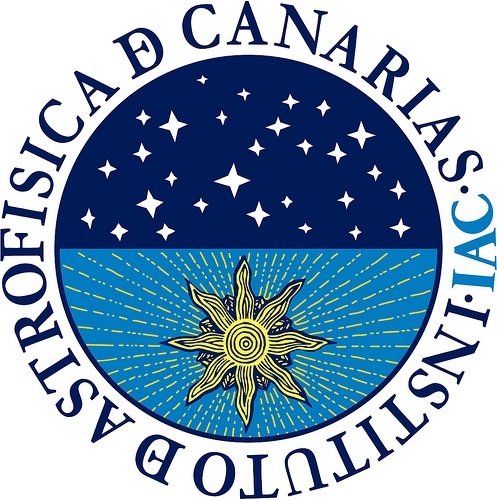 Under the Niépce project they are also getting other images with telescopes of the Canarian Observatories including the Gran Telescopio Canarias (GTC) in order to expand the gallery of astronomical images for publicity purposes. Composition in RGB filters (18x total exposure 600s each) and Halfa (14x 1.800s) obtained with a telescope 10 cm in diameter and 380 mm focal together with a CCD camera 4k x 4k cooled to – 30 degrees. Images captured during moonless periods from the Observatorio del Teide are square and cover 10 Lunas on each side, just over five degrees of arc. Andromeda is the nearest giant spiral galaxy to Earth. In fact, it may be located at first in skies without light pollution. Therefore, it is often portrayed by astrophotography. In this case it was Daniel López, IAC collaborator, the author of this snapshot chosen today, January 8, as Astronomy Picture of the Day by NASA. Our neighboring galaxy has a diameter of about 220,000 light years in which almost a trillion stars that are 2.5 million light years away meet. This means that the photons recorded in the image left of it when hominids evolved in South Africa yet. However, more and it takes less time to reach us since the Andromeda Galaxy is approaching the Milky Way at a speed of 300 km / s.
In the image a reddish clouds that seem to be around the Andromeda Galaxy are also appreciated. However, formed of ionized hydrogen gas, these clouds take a close – up photography and, in fact, are located in the Milky Way. As it would happen when we see the moon through the clouds. At first glance, it may seem quite small because only the central part of the galaxy is bright enough to be appreciated by the human eye, but its actual diameter equivalent to seven full moons seen from Earth. This ratio means better knowing that the image selected as APOD today is one which will form part of the exhibition “100 Lunas²”, which have been captured portions of the sky with an area of 10 moons high by 10 moons full width. This exhibition is part of “Niépce: from negative to positive” project, a tribute of astronomy to photography. Researchers at the Instituto de Astrofísica de Canarias (IAC) have identified, using the Gran Telescopio de Canarias (GTC) a star which is a key to the formation of the first chemical elements in the Galaxy. The results of this research are published today in the scientific journal The Astrophysical Journal Letters. The study presents the discovery of one of the stars with the least content of “metals” (heavy elements). Known. Th estar is at 7,500 light years from Earth, in the halo of the Milky Way, and is along the line of sight to the constellation of the Lynx. The star is still on the Main Sequence, the stage at which most stars spend the major part of their lives. The source of energy of these stars is, as always, the fusión of hydrogen in their cores, and their surface temperaturas and luminosities are almost constant with time. Another of its properties is its low mass, around 0.7 times the mass of the Sun, although it has a surface temperatura 400 degrees hotter. This discovery was made using spectra obtained with OSIRIS (Optical System for Imaging and low-intermediate-Resolution Integrated Spectoscopy) on the Gran Telescopio Canarias (GTC), at the Roque de los Muchachos Observatory (Garafía, La Palma). Spectroscopy allows us to decompose the light of celestial objects to study their physical and chemical properties, and thanks to this we know that J0815+4729 has only a millionth part of the calcium and iron that the Sun contains, but it has a comparatively huge content of carbón, almost 15% of the solar abundance. “ We know of only a few stars (which can be counted on the fingers of a hand) of this type in the halo, where the oldest and most metal-poor stars in our Galaxy are found”, explains David Aguado, an FPI-SO (Severo Ochoa-Training of Research Personnel) research student at the IAC and the University of La Laguna (ULL) who si the first author of the article. “Theory predicts that these stars could form just after, and using material fom, the first supernovae, whose progenitors were the first massive stars in the Galaxy, around 300 million years after the Big Bang” says Jonay González Hernández, a Ramon y Cajal researcher at the IAC and one of the authors of the article. “In spite of its age, and of its distance away from us, we can still observe it” he adds. “This star was tucked away in the data base of the BOSS project, among a million stellar spectra which we have analysed to identify it, which required a considerable observational and computational effort” stated Carlos Allende Prieto, another IAC researcher, and a coauthor of this article. “It needs high resolution spectroscopy on large telescopes to try to detect the verious chemical elements in the star which can help us to understand the first supernovae and their progenitors” he emphasized. The magnetism of black holes is surprisingly weak. Artistic representation of a black hole with magnetic fields. Credit: Micheal McAaler / Uf News. According to a study published today in the journal Science, researchers at the University of Florida have discovered, with CIRCE instrument installed in the Gran Telescopio Canarias (GTC) of the Roque de los Muchachos Observatory (Garafía, La Palma), these objects, which are characterized by an intense gravitational pull devouring stars and launches streams of matter into space at nearly the speed of light, have significantly weaker than previously thought magnetic fields. V404 Cygni , the first black hole seen from Earth by a team of researchers from the Institute of Astrophysics of the Canary Islands (IAC), the news again. This time, thanks to him we have obtained the first accurate measurements of the magnetic field that surrounds these celestial objects. The authors of the study, published today in the journal Science, have found that the magnetic energy around this black hole is 400 times less than the estimates provided for . With these new measurements, scientists can better understand how magnetism of black holes, deepening our understanding of how matter behaves under extreme conditions works. These new data could extend the limits of nuclear fusion energy and GPS systems and applied to other research to reveal how the jets (jets of particles) shoot out of these heavenly depths, while everything around them is absorbed by they. “Our measurements surprisingly low, will force new restrictions on the theoretical models previously focused on strong magnetic fields that accelerate and direct the jet flows” explains Stephen Eikenberry, a professor of astronomy at the College of Liberal Arts and Sciences at the University of Florida and one of the study authors. Eikenberry says they did not expect these results. William Herschel Telescope, La Palma., La Palma. The study’s authors developed the measurements from data collected during the outbreak in 2015 of jet black hole. This event was observed with the infrared camera CIRCE (Canarias InfraRed Camera Experiment), installed in the Gran Telescopio would win (GTC) and through Ultracam, the William Herschel Telescope, both at the Observatorio del Roque de los Muchachos (Garafía, La Palma) . 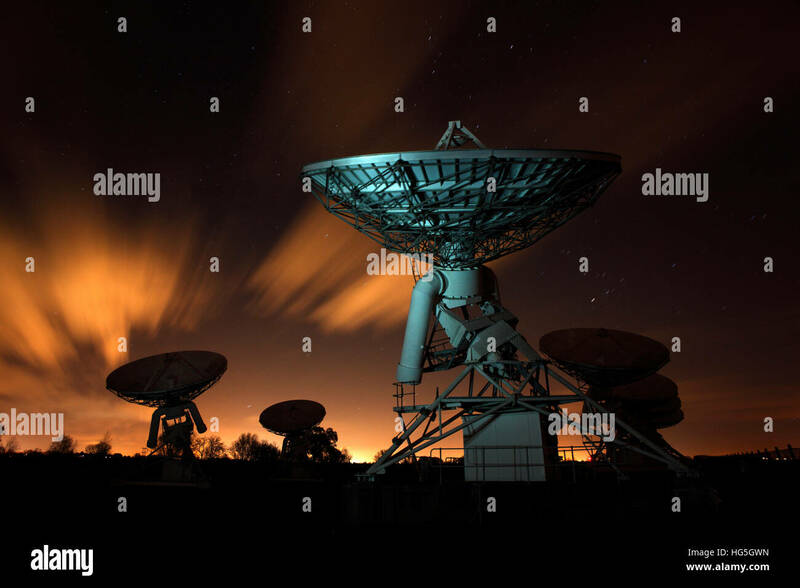 X-ray observations of the California Institute of Technology and Space Telescope NASA NuSTAR were also used; and data arcminute Microkelvin Imager telescope located in the UK. The Gran Telescopio Canarias (GTC), installed at the Observatorio del Roque de los Muchachos (Garafía, La Palma) is part of the network of Singular Scientific and Technical Infrastructures (ICTS) of Spain. Discovered a new family of red giant stars with a strange chemical composition in the Milky Way. Artistic representation of the chemical composition of the new population discovered traveling around the Milky Way in highly eccentric orbits (dashed white line) and the combined spectrum of APOGEE of atypical stars in a spectral window covering regions (shades of gray) around magnesium lines. Credit: JG Fernández-Trincado. The results of this research, published in The Astrophysical Journal Letters and which has participated IAC suggest an extragalactic origin outside the Milky Way, and help to understand how stars evolve and how the chemical elements inside are formed. Science, chance is a source of surprising discoveries. Open your eyes to the unknown. Even, sometimes, it changes the course of an investigation, a theory or a paradigm completely, what has happened in this discovery. While searching for fossil relics of early Milky Way, a scientific team stumbled upon an unexpected finding: a new family of giant stars with an unusual chemical composition according to the models of nucleosynthesis (nuclear fusion processes inside the stars where they originate new chemical elements). These stars are not only different from those of the Milky Way by its chemical composition, but also for its orbital properties, suggesting a possible extragalactic origin. Details of the discovery, which involved researchers from the Institute of Astrophysics of the Canary Islands (IAC), were recently published in the journal The Astrophysical Journal Letters. “It is an extremely interesting fact because just outside globular clusters in our galaxy contains stars with remarkably similar to the stellar population discovered chemical patterns, suggesting a possible relationship,” said Olga Zamora, Astronomer support of the Canarian Observatories and research IAC postdoctoral research has led, along with JG Fernández-Trincado, a researcher at the University of Concepción (Chile). The equipment used data from the second phase Apache Point Observatory Galactic Evolution Experiment (APOGEE-2), usually used to map the chemical elements in the stars of the Milky Way (carbon, nitrogen, oxygen, aluminum and magnesium, among others), and giant observed 150,000 stars in the H band by high resolution spectrograph APOGEE, accessing regions obscured by the dust in the visible range. After processing the data, they found a chemically atypical stellar population compared to the stars of our galaxy or even any galactic globular cluster, cluster of stars known. Giant stars in question are very poor in magnesium unexpected considering its high levels of other elements such as nitrogen, aluminum and iron. “They could come from globular clusters dissociated in the past and whose distribution of elements not seen in any galactic globular cluster with similar chemical properties,” says IAC researcher and one of the authors of the article, Aníbal García-Hernández. “These stars may be born in a globular cluster with a history of different backgrounds and then have detached from it. If formed from a gas previously contaminated by a specific combination of massive stars, about 30 solar masses, and less massive stars, 4 to 8 solar masses, could explain its exceptional chemical “adds postdoc IAC and coauthor of work, Flavia Dell’Agli. These anomalous stars are ideal candidates living fossils from the early days of the Milky Way or even fossil relics of extragalactic globular clusters separated by tidal forces, the gravitational pull of the Milky Way. Now the team plans to use this finding to better understand the processes of nucleosynthesis and stellar evolution, and to find more giant stars with atypical chemical compositions, a key to improve our knowledge about the formation and evolution of our galaxy step. The Impressive Emissions Nebula IC 1396 mixes the brilliant cosmic gas and dark dust clouds in the high and distant constellation of Cepheus. Energized by the brilliant central star you see here, this star-forming region extends over hundreds of light years, spanning more than three degrees in the sky, about 3.000 Light-years from planet earth. Among the intriguing dark forms within IC 1396, the elephant’s winding trunk nebula is located just below the center. The stars could still be forming within the dark shapes by gravitational collapse. But as the denser clouds are eroded by strong stellar winds and radiation, any star in formation will ultimately be cut off from the star reservoir. The magnificent color view is an image composition of narrow band filters, atomic oxygen emission mapping of the nebula, hydrogen and sulfur in blue, green and red tones.